You know, I really admire those bloggers who only (or mostly) review crime. There’s just so many ways you can talk about a whodunit… or is there? This is my third Peter Wimsey novel and the one I least enjoyed, since there’s less Wimsey than in the others and we only get treated to a couple of glimpses of his True Self . 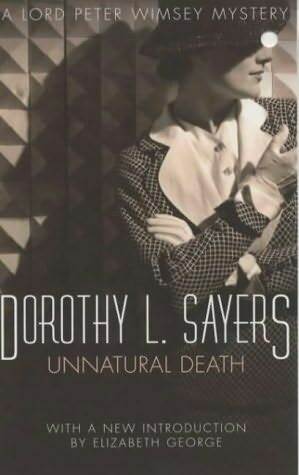 The only time we see the “real” Peter Wimsey in Unnatural Death is when he’s dealing with his guilt. There’s a lot of utilitarianism vs. absolute morality in this book: if Wimsey hadn’t decided to investigate a seemingly natural death, only that first crime would have been committed (that of an old lady dying of cancer already). His interference led to two other people dying, because the killer tried to cover his tracks. So, is Wimsey somehow responsible for these deaths? Would it have been better for him not to interfer? Shouldn’t he feel guilty for the indirect deaths he caused? “May I ask—?” began Parker. “It is not what you think,” said his lordship, earnestly. “Of course not,” agreed Parker. 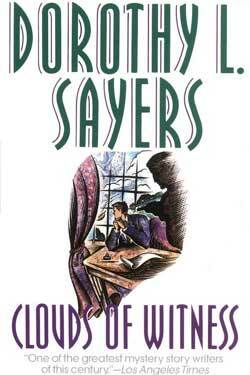 And moving on from Miss Climpson, I have yet to see a female character in Sayers’ books that I feel is… whole. From Wimsey’s sister Mary, to this book’s villain Miss Whittaker, they all have their motivations, but we never really go deeper. I would like to know more about how Mary feels about Peter, why Miss Whittaker hates men so much and how come Miss Climpson has such a good understanding of both herself and other people. Maybe I’ll be more satisfied once Harriet comes along? As a rule, the first couple of weeks of November are extremely busy in Brussels. This year we had five events in three days, the culmination of weeks of hard work, but in the end, all extremely rewarding. The downside is having no time at all for blogging. It was the first time I spent so many days away from the blogosphere since I started, and I’m afraid I had to hit the “mark all as read” on my Google Reader, so please let me know if I missed anything important. I still managed to get through five books (mostly audiobooks) and would like to do a longer review of three of them, but meanwhile, and to get me up to speed, I’ll just quickly go through the others. I decided not to go for a long review of this one because honestly, I don’t really have much to say about it. I read the first in the series during the Trans-Siberian and wasn’t very impressed. 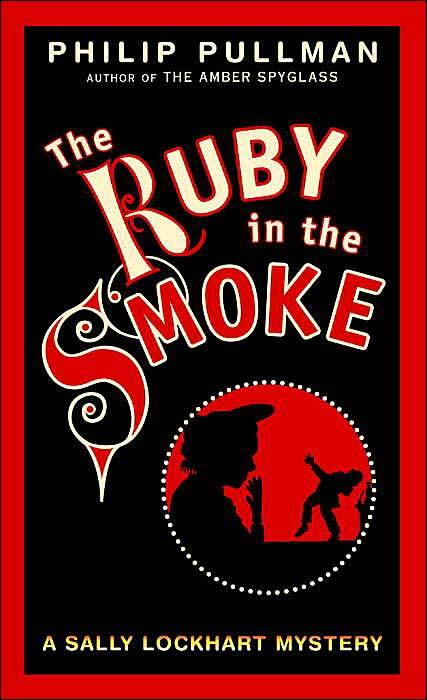 While that book was all about adventures and battles, this one is a fantasy of manners. Our heroine Melaria, after overthrowing the Evil King and a period of self-education, agrees to spend some time in court and has to deal with the expected gossip, politics and general backstabbing. It kept me interested enough (as all ugly-duckling stories do), and the romance had a good pace, but in the end, it was just too YA. This is a recurrent problem with some of this year’s books: a bit too predictable, a bit too formulaic, a bit too… cute. 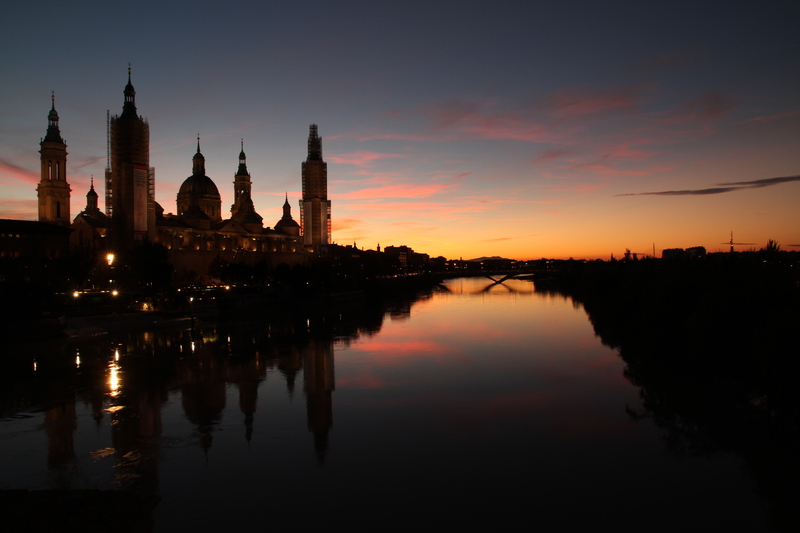 Audiobook heard on the way from Zaragoza and which kept us sane during the traffic jams around Paris. It’s a set of 9 stories, read by different people, including the man himself – David Suchet – and Hugh Frasier (Captain Hastings). I’ve read “And Then There Were None” and “Endless Night”, but these were my first Poirot and Miss Marple. I was enchanted. Now I really understand Christie’s power as a story-teller. Even in a very short story, such as for instance, Yellow Iris, she’s able to create the right atmosphere and play with the pace so masterfully, that she has us wrapper around her finger in a matter of minutes. In particular I liked “Problem at Pollensa Bay” because it was the first time I came across Parker Pyne (have you ever heard of him?). After some Googleing I find out that not only he seems to be inspired by Mycroft Holmes (a secondary character I was always curious about), but that he once employed Miss Lemon. So you see, he must be someone worth knowing. He’s the type of men who makes people comfortable and has an instinctive way of solving problems – any type of problems. In “Problem at Pollensa Bay” be helps a mother and her son see eye-to-eye on the subject of his bride, and in “The Regatta Mystery” he solves the theft of a diamond during regatta festivities at Dartmouth harbor. Someone at Goodreads commented that Parker Pyke is the most emotional of Agatha Christie’s detectives, since he prefers matters of the heart to pure puzzles. I definitely want to know more about him now. 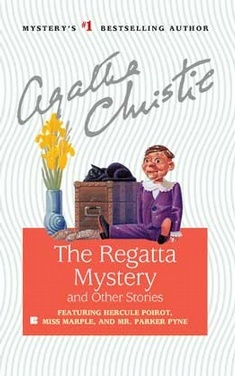 What are you favorite Agatha Christie’s? Any recommendations? I have had a long experience in the compilation of statistics. From that experience I can assure you that in 87% of cases dishonesty does not pay. Unhappiness can be classified under five main heads–no more, I assure you. 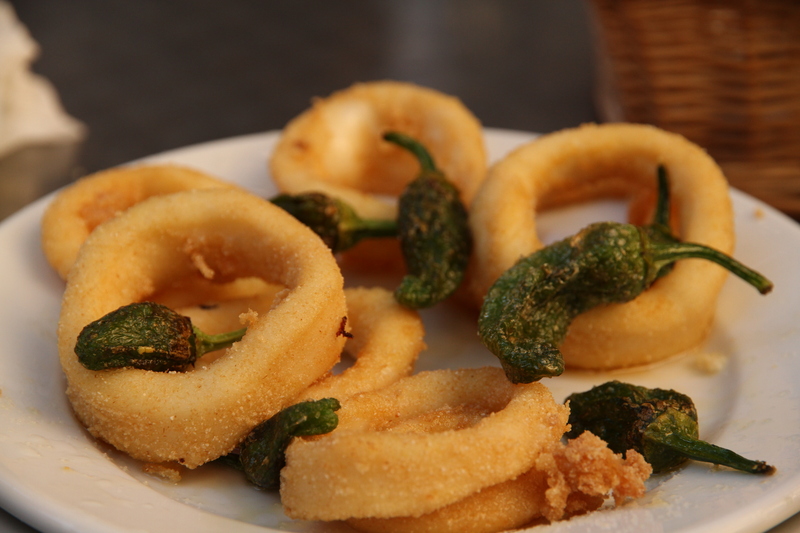 Once you know the cause of a malady, the remedy should not be impossible. 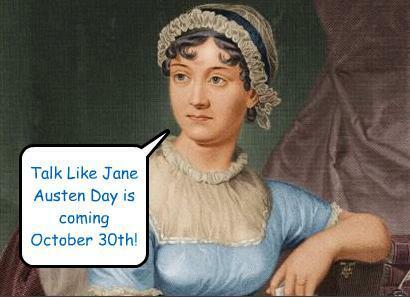 Wanting to celebrate the first “Talk like Jane Austen Day” I have endeavored to write this review in the style appropriate to that most beloved of periods – Regency. The Erast Fandorin Historical Mystery Novels first came to my attention with the praise sang by Lonely Planet as a fine example of modern Russian literature. During my stay in Russia earlier this year, I endeavored to look for it but alas, when we found ourselves at a delightful little English book seller, it pained me to discovery that our guide had been left at our lodgings, and I could not, try as I might, remember the name of the author. I insisted on inquiring after a “Winter Queen” and even my references to the “Russian Sherlock Holmes” failed in bringing about success. So I was left with no other choice but to immediately order it from the kind people at Book Depository as soon as we returned to our humble Abode. As I have earlier mentioned, “The Winter Queen” is but the first of the Erin Fadorin Mysteries and also the realization of a fascinating Idea by Mr A. – he believes there are 16 different types of Mystery Novels and decided to dedicate each of Mr. F’s books to a different one. This first example is a Conspiracy Mystery, the following a Spy Mystery, then a Closed Set-up Mystery and so forth. I hope you agree with me on how Devilishly fun this endeavor sounds like? At the start of the narrative, in the year of 1876, Mr. F is not yet one-and-twenty and has just started his career at the Criminal Investigation Department of the City of M–, Russia. His first real assignment is the investigation of a university student who unfortunately decides to kill himself using the so called Russian Roulette – which at the time was called American Roulette! On his search for the Truth, Mr. F finds himself in the middle, if you can believe it Dear Readers, of a far-reaching International Conspiracy. Mr. A very effectively contrasts the comical innocence of his Hero – who is by no means lacking in intelligence – with the decadence of XIX century M–, not unlike that of our own Victorian London. Indeed, Mr. A shamelessly describes aristocrats giving way to the most appalling of vices while the winds of Revolution surround them. 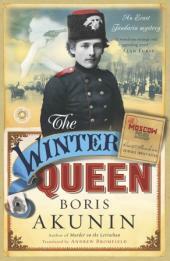 So it came to pass that I found in The Winter Queen exactly what I was looking for – lively descriptions of life in Czarist Russia, a main character who is not perfect (as you well know, pictures of perfection make me sick and wicked), but who you can see is learning from his mistakes. I also took great enjoyment from the very melodramatic Russian ending. I am very much looking forward to the next one in the series. Post Scriptum: Halloween has almost come and with it the end of my very first RIP Challenge. Oh what good fun we had! Second book of the RIP V Challenge. After reading the first Lord Wimsey book I couldn’t wait to get my hands on the second so the RIP Challenge gave me a good excuse for moving it up on the TBR list. The premise of this murder comes straight out of an Agatha Christie book: a group of English aristocrats come together in a country mansion to do some hunting, but one of them turns up dead. The unfortunate fellow happens to be Lady Mary, (Lord Wimsey’s younger sister) husband to be. To complicate matters further, it was the older Wimsey brother who found the body and refuses to give to account for his whereabouts at the time of the murder. So this time Peter Wimsey’s skills in investigation are needed closer to home. From the start Wimsey knows they will uncover a lot of dirt about his family, as not only his brother but also his sister act suspiciously. Respect to Wimsey for not shying away from the task. As he says to his “Watson”, Charles Parker from the Scotland Yard: “The best we can do is to look the evidence in the face, however ugly. And I don’t mind admittin’ that some of it’s a positive gargoyle”. And talking about Charles Parker, let me just say how I appreciate that Sayers did not create a passive side-kick, only useful to make the main character even more spectacular. Parker is, of course, less brilliant than Wimsey, but a very good and honest police officer, and often more sensible than the man himself. 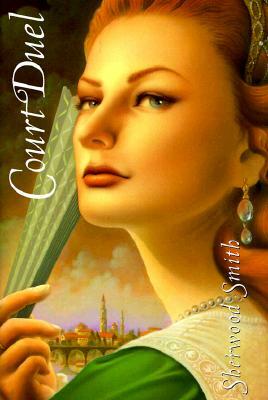 Although Cloud of Witness was also very good, I still prefer the first book in the series. 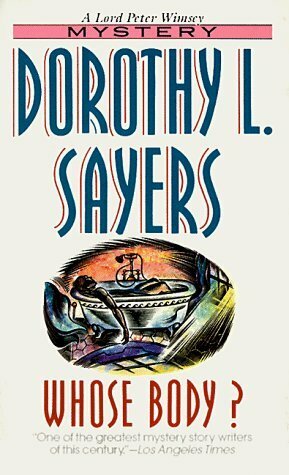 Even though Clouds of Witnesses is about the Wimsey family, Sayers focused on the mystery and legal proceedings so much (and they were fun! ), that there was little chance for further character development. There was surprisingly little insights into Peter Wimsey, especially considering the family connection. 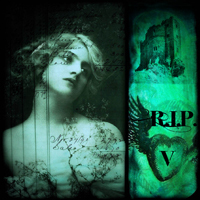 This is my first book for the RIP V Challenge. I googled Sayers and Lord Wimsey before I made up my mind about buying the first one in the series. One thing is certain: people don’t usually get this excited about mystery series. Some re-read them every year, others list Wimsey at the top of their favorite characters and literary crushes lists and unlike most other mysteries, reviews don’t focus on the plot. As if this is was not tempting enough, there’s the general opinion that Lord Wimsey was one of the great inspirations for Francis Crawford of Lymond, the hero of Dorothy Dunnett’s Lymond Chronicles. I needed no other incentive. Lord Wimsey, our amateur sleuth, is an intriguing character: the younger son of an aristocratic family, dilettante, collector of rare books, he gives off this seemingly nonchalant attitude towards everything. He likes solving crimes because it breaks the boredom. But as the story develops we start seeing beyond our first impressions. Lord Wimsey is still dealing with shell-shock after his time in WWI and we also get a hint that there’s a traumatic romantic disappointment in his past. In summary, he’s what very few women can resist: a damaged man (by the way, see this great post about damaged characters). Put that together with his intelligence, wit and being the most sought-after bachelor in London and you have a winning combination. Lord Peter’s energy is contagious straight from page one and it’s also a pleasure to follow his faithful manservant, Bunter, who, à la Jeeves, patiently suffers his master’s eccentric activities. As for the story itself, Whose Body? starts with the Dowager Duchess of Denver calling her younger son informing him that a mutual acquaintance has had the misfortune of finding a body in his bath – can Peter help in the investigation? From there Sayers skillfully builds a traditional whodunnit. It’s relatively easy to reach the solution and it’s here that you can tell this is a first novel. She’s still getting into her stride, playing around a bit, seeing what works. This applies only on the plot, because in terms of characterization, I think she already had a very solid idea of what she wanted to accomplish and (very cleverly) at what pace. I ordered the next two in the series as soon as I finished Whose Body? Right now, it’s hard not to have big expectations about the rest of the books. Crossing my fingers, I hope they don’t disappoint.